"Hennessy Green" built by Polygon, an award winning developer. This elegant 3 bedroom, 2 1/2 bathroom townhome boasts the best 3 bedrm layout in the complex, 9' ceilings, B/I A/C, designer paints, granite countertops,and S/S appliances. Owner has spent over $4,000 in developer upgrades for alarm system, wood flooring, and garburator. BONUS - additional street parking outside your doorstep. 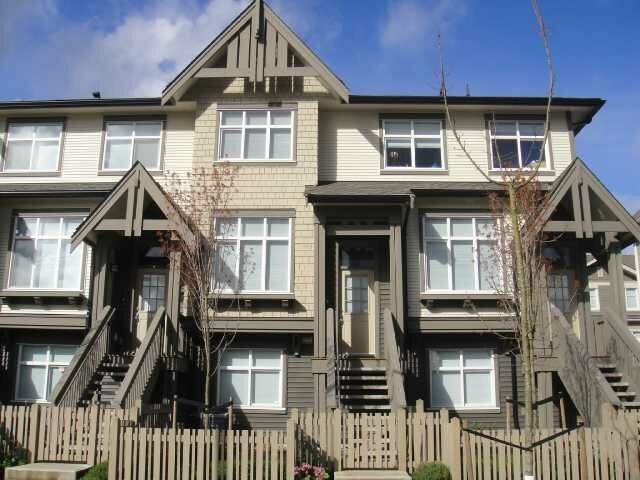 It is centrally located and easily accessible to Vancouver, DTWN, New West and Surrey. In close proximity to transit, shopping, schools, and recreation. This unit is in showroom condition with pride of ownership and is truly a pleasure to show. Balance of 2-5-10 warranty. First Open House: March 27th and 28th: 1-4pm.